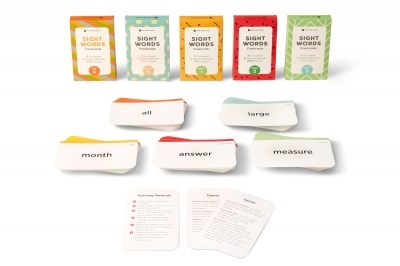 Think Tank Scholar Sight Words Flashcards help children to learn and practice reading the most common words found in a children's book. Our cards are designed with a non-distracting design and large bold print. This is a great classroom aid to help kids practice reading. I like that the design is not confusing or distracting. It's straight-forward. I love how these Flash Cards use the most common words that children find in their books. This is a great way to help kids learn to read. The large print really helps.